Ashford Borough Council announced the details of the ballot included in their Community Governance Review urban area consultation on 4th November 2015. Of 9,220 eligible voters in South Ashford, 2,409 responded to the ballot, 2,398 were valid votes, 906 voted yes and 1,492 voted no. “As stated in the original literature sent to residents in the relevant areas, the results of the ballot (for and against) are non-binding on the council and are one part of the consultation process. However, the result will inform the decision of council members in December. 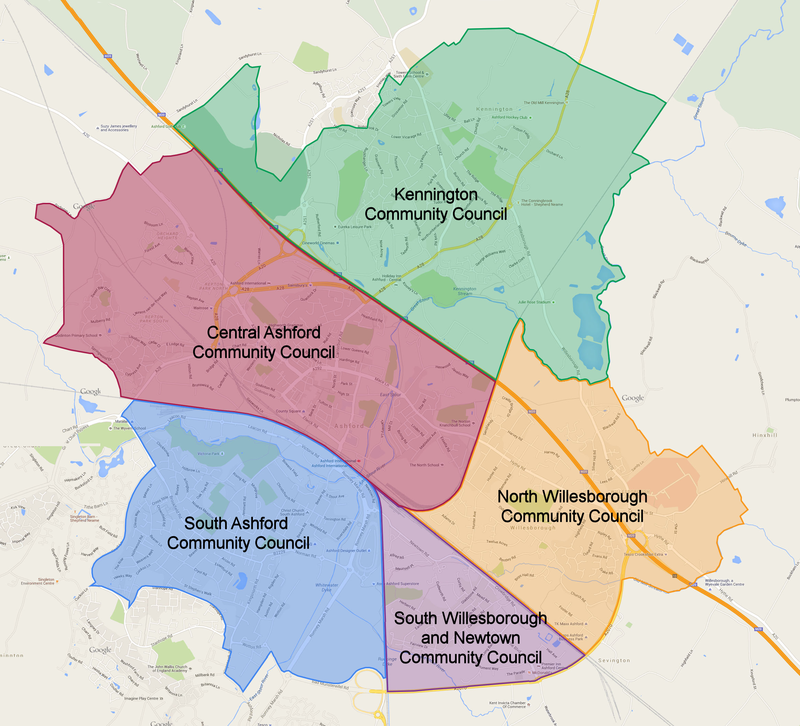 On 3rd December 2015, Ashford Borough Council’s Selection and Constitutional Review Committee recommended that the Council follow the Community Governance Review ballot outcome; creating Community Councils in Kennington and South Willesborough and Newtown, not in South Ashford, Central Ashford and North Willesborough. The final decision will be taken at a full Council Meeting next Thursday, 10th December.